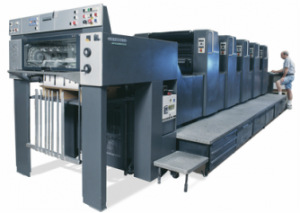 Trade Printers – Are They a Fit for You? Trade printers exist to help print distributors and local printers with projects that in some way or another are beyond their capabilities. But if you’re like many print service providers, you have questions. When should you consider outsourcing a job? How can you find a trade partner that fits your needs? And can you trust the protection of your client relationship with your print partner? As a print distributor or local printer, you must ask the right questions to find the right trade printer partner. The first inquiry should be whether the trade printer is capable of printing a job you aren’t able to print in-house, which can open up new revenue streams. Look for someone who’s a full dedicated partner, with the same outcome in mind, someone you can call with a full customer service department. Unlike the average online printer, Victor Printing specializes in offering custom print services. It’s critical that a trade printer considered isn’t spread too thin, they are stable, and is in business for the long haul. It should also be trade only and respect the relationships of its customers with their clients. « Are You Ready for the Gold?